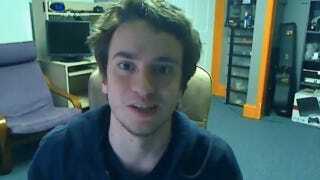 George Hotz—better known as GeoHot—might be the most famous hardware hacker in the world. He unlocked the iPhone so people could use it with any carrier and hacked the PS3 so it would play bootlegged games. Some of GeoHot's hacks are clearly illegal, but are they wrong? "I live by morals, I don't live by laws," he went on. "Laws are something made by assholes." But where we draw that line remains an open question. Can an arbitrary moral compass effectively direct a hacker? After Sony sued GeoHot, Anonymous took up his cause and launched attacks on the company. Seventy-seven million Playstation Network accounts were compromised in one of the largest data security breaches of all time. GeoHot publicity condemned these attacks—citing the old distinction between the hacker who seeks to cause harm and the one who just wants to take things apart to see how they work.